A view from the old bird hide at RSPB Gruinart over to the new hide (both are in use). 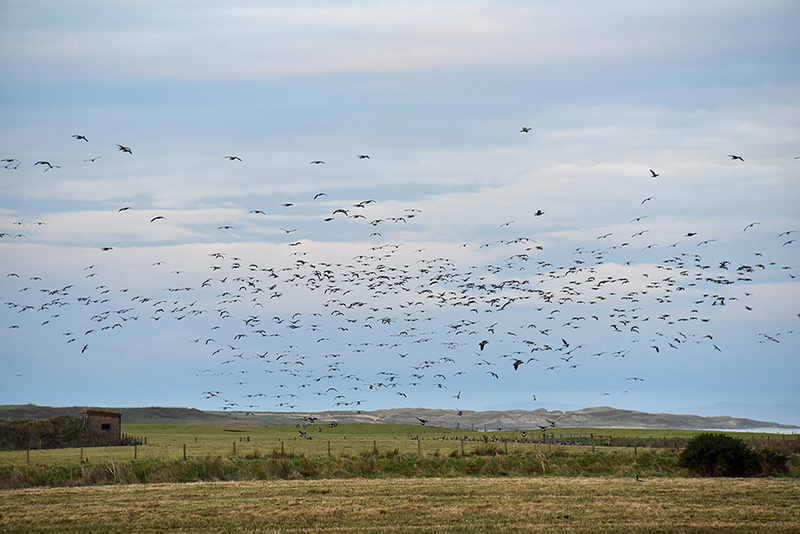 Some of the Barnacle Geese wintering on Islay are arriving for the roost in the evening. This entry was posted in Cloudy Weather, Landscape, New Post, Sea Loch, Wildlife and tagged Barnacle Geese, Gruinart, Islay, Loch Gruinart by Armin Grewe. Bookmark the permalink.